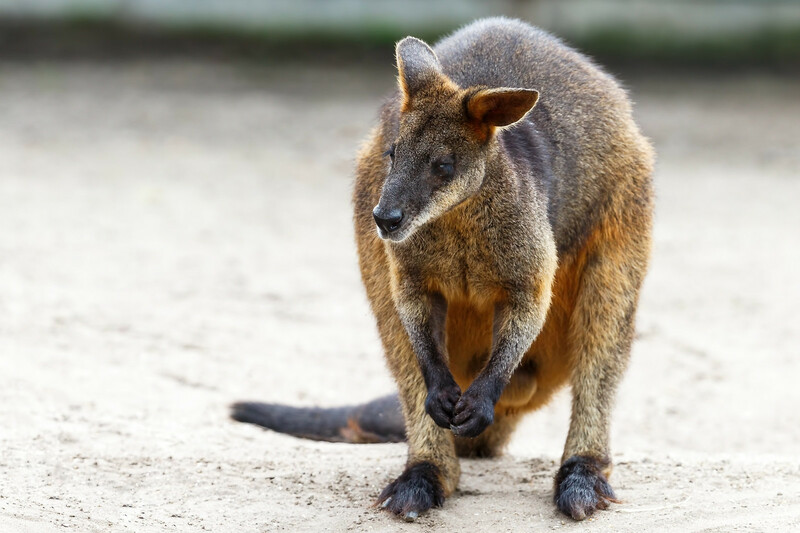 Wallabies and kangaroos belong to a group of animals known as macropods. 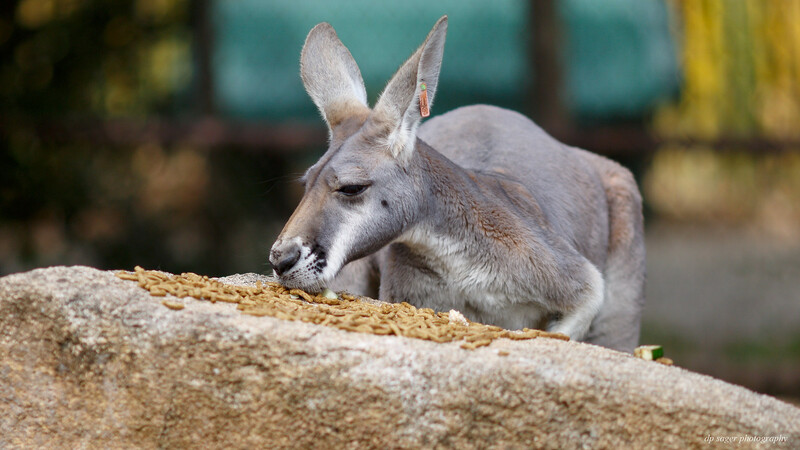 Although omnivorous kangaroos lived in the past, modern macropods are herbivorous. Some are browsers, but most are grazers and are equipped with appropriately specialized teeth for cropping and grinding up fibrous plants, in particular grasses and sedges. Macropods vary in size considerably, but most have very large hind legs and long, powerfully muscled tails. The term macropod comes from the Greek for "large foot". Most have very long, narrow hind feet with a distinctive arrangement of toes. The fourth toe is very large and strong, the fifth toe moderately so; the second and third are fused; and the first toe is usually missing. The unusual development of the hind legs is optimized for economical long-distance travel at fairly high speed. 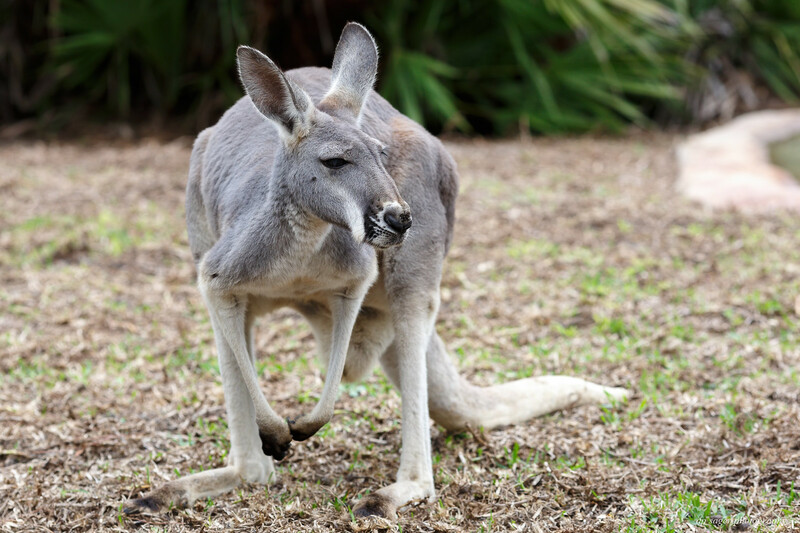 The greatly elongated feet provide enormous leverage for the strong legs, but the famous kangaroo hop has more: kangaroos and wallabies have a unique ability to store elastic strain energy in their tendons. Therefore, most of the energy required for each hop is provided "free" by the spring action of the tendons (rather than by muscular effort). The main limitation on a macropod's ability to leap is not the strength of the muscles in the hindquarters, it is the ability of the joints and tendons to withstand the strain of hopping. Wallabies are a smaller version of the kangaroo. ‘Swampies’ have a distinctive bicolor coat and live in groups called mobs. They generally live in dense forests, thickets, mangroves, woodlands and swampy areas of the east coast of Australia. The wallaby hides in thick grass and dense brush during the day and come out at dusk to forage for food. 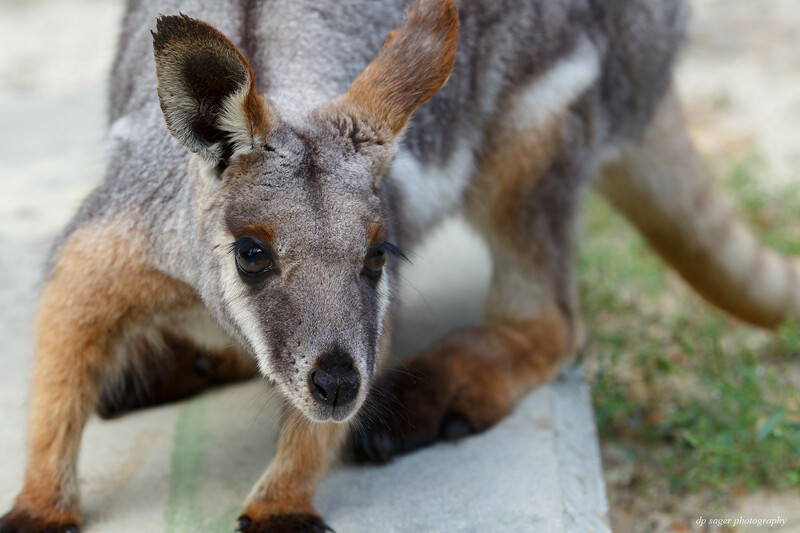 Wallabies are native to Australia and New Guinea, with introduced populations in New Zealand. The term "wallaby" is not well defined and can mean any macropod of moderate or small size. Wallabies are widely distributed across Australia, particularly in more remote, heavily timbered, or rugged areas, less so on the great semi-arid plains that are better suited to the larger, leaner, and more fleet-footed kangaroos. The red kangaroo (Macropus rufus) is the largest of all kangaroos, the largest terrestrial mammal native to Australia, and the largest extant marsupial. It is found across mainland Australia, avoiding only the more fertile areas in the south, the east coast, and the northern rainforests. At times, red kangaroos congregate in large numbers; in areas with much forage, these groups can number as much as 1,500 individuals. Membership of these groups is very flexible, and males (boomers) are not territorial, fighting only over females (flyers) that come into heat. Compared to other kangaroo species, fights between red kangaroo males tend to involve more wrestling than boxing or kicking. 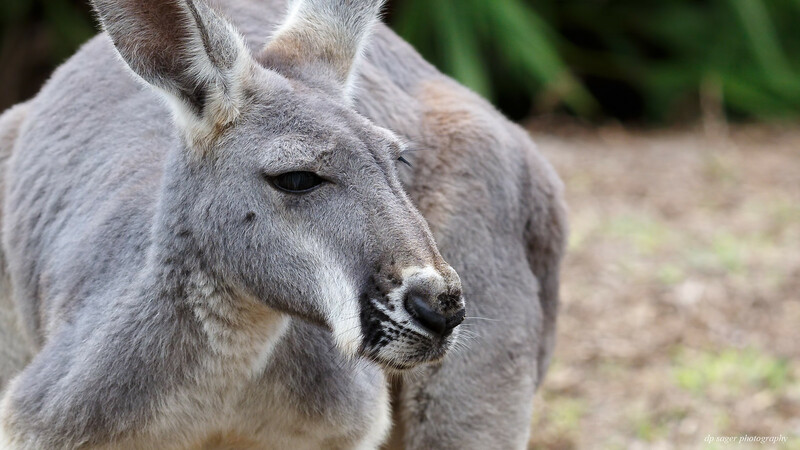 The red kangaroo is a very large kangaroo with long, pointed ears and a squared-off muzzle. They are sexually dimorphic as the males have short, red-brown fur, fading to pale buff below and on the limbs. Females are smaller than males and are blue-grey with a brown tinge, pale grey below, although arid zone females are colored more like males. These images are sized to fill your wide-screen display. Try using <F11> to maximize your browser window for the full effect. If the images overshoot your display, such as a laptop, just click on the image or the URL link and they'll resize to your screen from the host Flickr site. You can click a bit further into the image details on the Flickr page, if desired. EXIF data is available from the host Flickr pages as well. On the Flickr site, use your <L>key for Large and the <F11> for the full-screen. Nicely done as usual, Paul. Thank you Ken / kpmac, Richard, tradio, Earnest, Ballangrud! I can give a tip on visiting macropods, their sense of smell is very strong. I realized I had a mint flavored Clifbar in my camera bag (not on purpose) on different dates in different zoos and each time, the wallabies and 'roos both were very interested in that bag as soon as I walked into their area. Another nice set from the Brevard Zoo. Well done Paul, nice pics .